Cold Pursuit is a remake and it can be called a perfect remake. 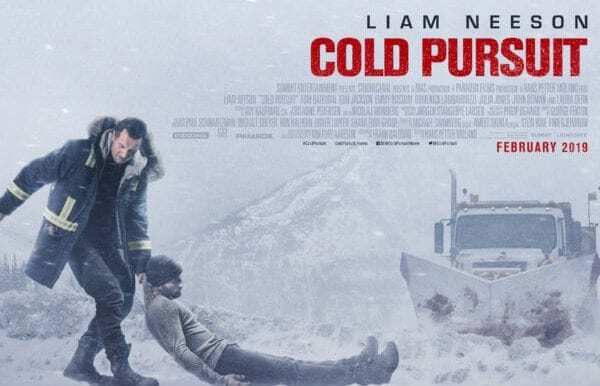 Inspired by the 2014 movie In Order of Disappearance, Cold Pursuit features the story of a snowplow driver and his son who is killed by a drug cartel. Is it a co-incidence that both the movies are directed by Hans Petter Moland? Nels Coxman is a snowplow driver in a resort town located in majestic Rocky Mountains. A peace loving person, Nels Coxman is awarded with Citizen of the Year trophy but little does he know that a tragedy is waiting to be happened in his life. His son is killed by a drug cartel. A disillusioned Nels Coxman decides to take arms and hunt down the killers of his son. But he finds himself caught between two drug cartels. Nels Coxman hatches a plan to kill the drug companies to eliminate the drug menace. The Lego Movie 2: The Second Partis the second installment of The Lego Movie (2014). The sequel is coming after two failed attempts by the Warner Animation Group – TheLego Batman Movie and The Lego Ninjago Movie (both 2017). You need to go into flashback to recall the conclusion of The Lego Movie (2014). The sequel starts from the conclusion when the citizens of the city of Bricksburg are seen living with a looming danger of alien invasion. The sequel turns the fear into reality with LEGO DUPLO invading the city and wreaking havoc on everything that comes in their path. Emmet, Lucy, Batman and rest of their friends have to take the responsibility of defending the LEGO universe from the courageous and creative aliens.